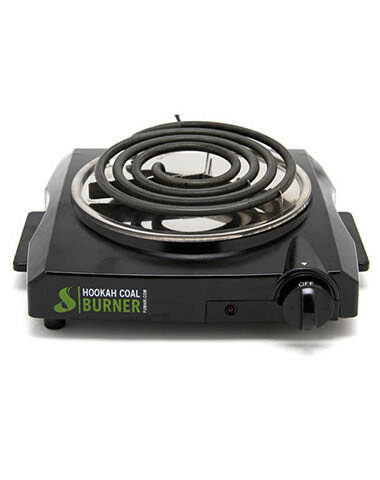 The new Fumari Hookah Coal Burner lets you quickly and easily light your hookah charcoal. With 1100 watts of power and variable heat control, the Fumari coal heater will have your coals ready to go in less than 10 minutes. You want portability? This single coil stove also features handles and a 24" long AC power cord, making it easy to pick up and move, and allowing you to plug in nearly anywhere. Simple, sleek, powerful, and efficient, the Fumari hookah coal burner is shisha giant Fumari's first attempt to branch out into the world of hookah accessories - and they did not disappoint. Fumari Charcoal Burner has a average rating of 0 stars out of 5 stars based on 0 reviews.